Please contact for lesson plans, detailed teaching philosophy, and student works. Example class projects, assignments, and documentation readily available. In my overall body of work, “teaching” is a versatile term for working through institutional structures for several pedagogical projects dating since 2002. I have taught numerous courses and designed their corresponding partnerships and public programming in diverse circumstances. 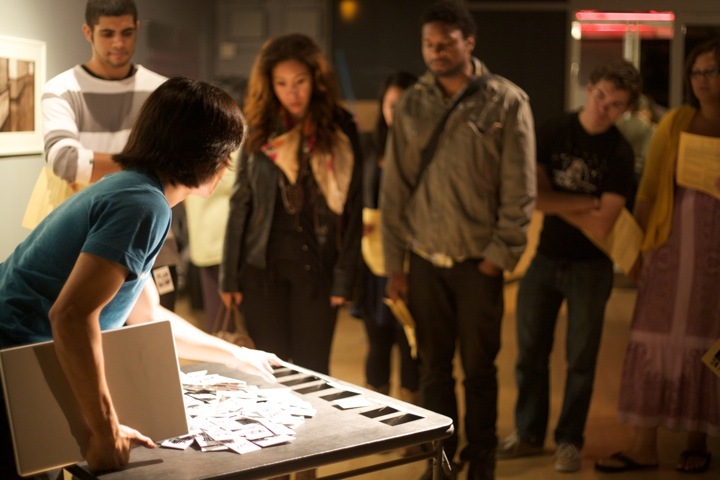 These various scaled projects include sites such as: multimedia digital labs, museums, major universities, international biennales/mega-exhibitions, non-profit art galleries, and senior/youth community centers in East Oakland, Iron Triangle in Richmond, and Chinatown/ Manilatown San Francisco. Notably, from 2005-2010, I was co-founding faculty of the San Francisco Art Institute’s City Studio. This internationally/UNESCO recognized arts and urban research interface combined graduate, undergraduate, Bay Area high school students (credited by their respective school districts), and numerous visiting cultural producers. These guests included local activists, the San Francisco Human Rights Commission, international contemporary artists, graphic designers, technologists, curators, archivists, and political organizers. Since 2012, I currently work at the Institute for Diversity of the Arts at Stanford University, establishing long-term partnerships and collaborations through these various interests.